Last week I really thought the Irish were going to take advantage of the weak Air Force rushing defense to establish the running game, something the Irish really need to improve on if they want to make a run at the BCS. I did think that Tommy Rees would have a good game but I did not expect him to throw 5 touchdowns and play a practically flawless football. I have been very critical of Rees in the past and very outspoken about his limitations, but he is playing the best football of his career right now and its happening at the best time of the year as we head into November. Coming into the weekend Tommy Rees has throw for 20 TD’s only 6 interceptions and 1944 passing yards, which is 25th in all of FBS schools. However his greatest improvements are the intangibles. His pocket presence, his ball placement, and decision making have all improved vastly and are a key factor to his success. What may be the biggest improvement to me though, is his ability to distribute the ball evenly to different receivers. Last season and in 2011, Tommy Rees had the tendency to lock into his favorite targets of Michael Floyd and Tyler Eifert. This season Rees has been throwing to all of his receivers which makes the passing attack that much more lethal. Unlike Air Force however, Navy had a pretty good passing defense giving up only 204.4 passing yards per game which ranks 21st nationally. The rushing defense is a different story. Navy is giving up 187.9 yards per game ranking 89th in all FBS schools which provides yet another chance for the Irish to get their running game going against a poor rushing defense. The Irish need to find the running game this week to get some much needed improvement before playing the stout defense of BYU and Stanford later in the season. A healthy dose of Cam “Blue Steel” McDaniel and Tarean Folston would be the ideal situation, since George Atkinson III and Amir Carlise have not been getting the job done. The Irish defense has an almost identical matchup as they did a week ago. Its the staple of triple options teams. They run the ball very well and cant pass to save their life. This week is no different. Navy ranks near the bottom of the barrel in passing offense at 120th nationally averaging only 103.9 yards through the air per game. The strength of the Navy academy has been and continues to be their triple option rushing attack. The Midshipmen are averaging 292.1 yards on the ground putting them as the 10th best rushing attack in the nation. The Irish defense looks to face a bit more or a physical running attack than they did against Air Force but I expect more of the same and should have no problems stopping Navy from scoring. 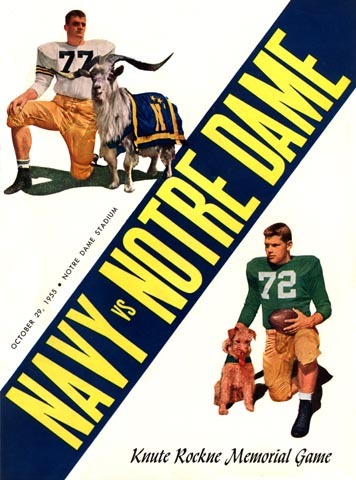 Overall I expect Notre Dame to dominate this game as they should. Good teams do not lose to teams like this and good teams don’t even let teams like this hang around. Expect this game to be over by half time with Tommy Rees playing well again at home and the rushing attack to add some much needed balance before heading into a tough stretch to end the season. Navy will come out fired up like they always do, but Notre Dame is just a flat out better team in all aspects of the game. Offense- Will Fuller caught is first touchdown pass of his young career last week against Air Force, showing off some serious speed as well. With the offense air attack getting hot at the right time of the season, I really see Fuller starting to get a bigger role. Im looking forward to seeing some of that speed this weekend.